Fragrance notes: A refreshing blend of Wild Lily Petals, Bamboo Leaf, Pink Ginger, Fresh Fig & Sauna Wood. 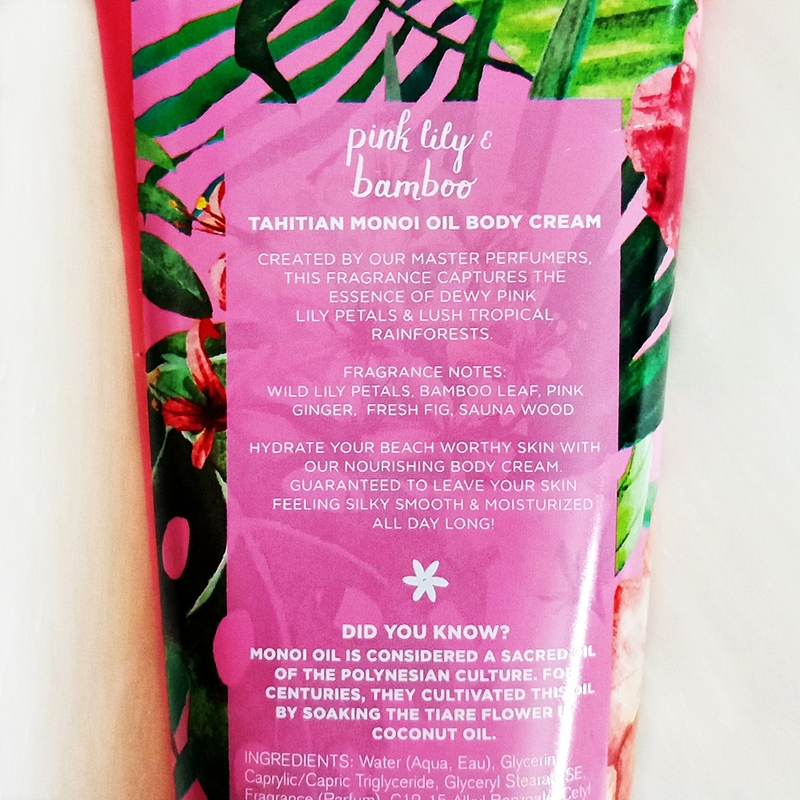 Infused with luxuriously rich Tahitian Monoi Oil. Clinically tested to provide 24 hours of nourishing moisture. 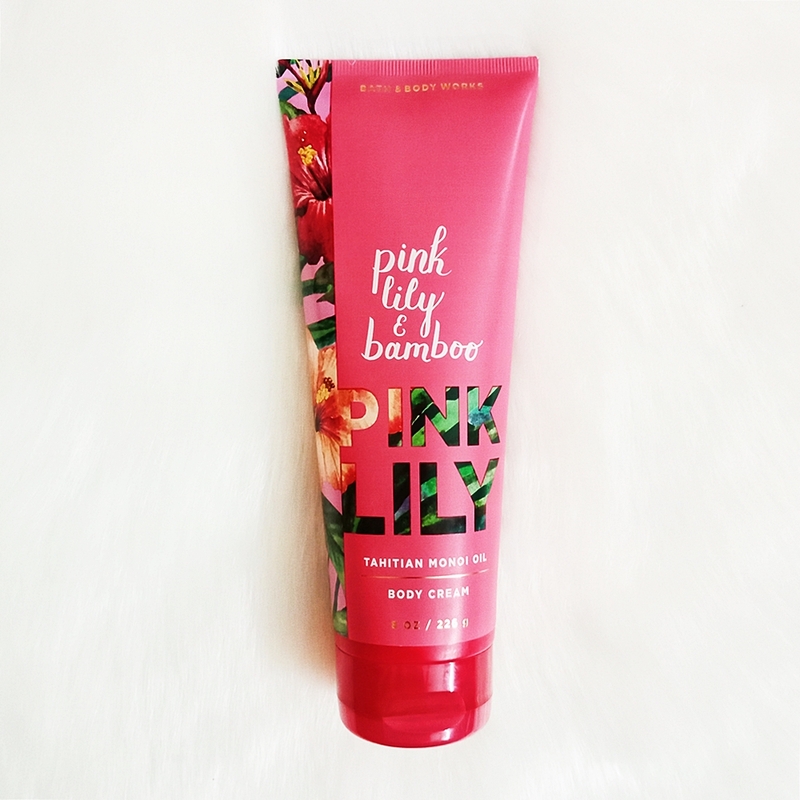 Enjoy sweet floral scent from a refreshing essence of dewy pink, lily petals and lush tropical rainforests. Infused with luxuriously rich Tahitian Monoi Oil, this nourishing Body Cream is clinically tested to provide 24 hours of nourishing moisture.